As a young master's graduate who scored scholarship after scholarship in the 1990s, Dr Aurobindo Ghosh failed his then biggest test. The Kolkata-born academic had found a job at Price Waterhouse - now audit giant PwC - after completing his master's in statistics in New Delhi in 1994, specialising in quantitative economics. He met with two senior partners in the headquarters in New Delhi, who wanted him to lead a project managing the financial strategy of the biggest thermal power plant corporation in India. "I was a student just 10 days and a month before that, so I got a little scared, and said I could be part of the team but not lead it. They said okay, they'd talk to my supervisor. "On my way back, I realised that they didn't want me to lead, they were just testing me and I chickened out," Dr Ghosh says laughingly. He lasted only 10 days at the firm. That incident led him to consider further education, and he pursued a master's in finance and PhD in economics at the University of Illinois. A The Asian real estate income fund, which was basically a real estate investment trust (Reit) around 2005 to 2007, that I went into without evaluating it well, and learnt that not all delegation was good. But it was not managed well. The Reit was giving out dividends, but the net asset value kept dropping and was reducing its price. Over a period of time, it did not recover the initial entry load. It lost probably around 7 per cent or 8 per cent. I started with at least $20,000. I invested through the financial crisis, so I lost about 60 per cent then, and the reason it recovered was because I kept it for the long-term. A First, investing in education, the only sector with no real asset bubbles. It is inherently contrarian, when markets are down demand for higher education usually goes up in the US. Second, investing my time in Singapore. I left India in my early 20s and the US in my early 30s for Singapore, my home. I try to give back to the community through communication of knowledge to the students, community, policymakers, and thereby to businesses. Finally, investing in mutual funds like the mid-cap equity fund. I invested from 2007 or 2008. Then, it lost more than 40 per cent to 50 per cent, and then it made 18 per cent overall, almost like a J-shape pattern. The initial investment was about $50,000. I learnt that I may not know the best way of investing, but I know the worst - which is to put money into anything that is going up, and pull money out of it when it's going down. That will make sure you'll lose money, but conditions do differ across the board. Dr Ghosh, who moved to Singapore to join the Singapore Management University (SMU) in 2003, says: "I learnt the hard way, to take up a challenge when offered. It was sudden and I was not prepared. Your failures should be your best teachers. I really cannot complain about how things worked out." We are not sure of what will happen a year later, but more sure in five years. That means you're better off investing in things which have inherent value, like companies which are growing and are underpriced by the markets. 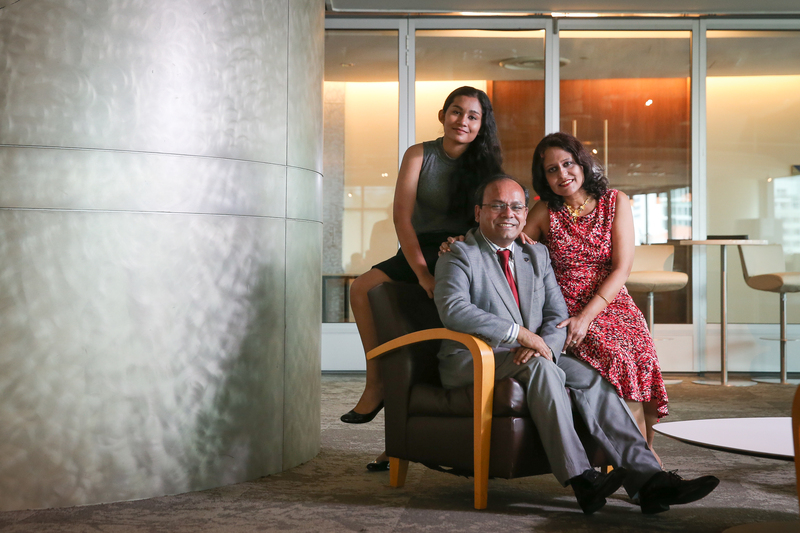 Dr Ghosh, 45, married with a daughter, 14, is now an assistant professor of finance at the Lee Kong Chian School of Business. His students learn how investing is a structured process through an online trading game - a simulated game of managing money for six weeks. One way is the top-down approach, which starts by deciding how much money to put in risky and risk-free assets. The next step is to decide the asset allocation, from broad asset classes like bonds, stocks, and real estate, and then security selection, he says. In selecting the best combination of stocks with the best risk-return profile, Dr Ghosh speaks of the Modern Portfolio Theory released in a paper by Harry Markowitz in 1952. One thing it mentions is the more you diversify, the lower the portfolio's overall risk, and it has greatly influenced how institutional portfolios are managed. "It turned out to be such a good method that it's very difficult to beat and that structure helps students to understand it." But there's one asset that cannot have a bubble, says Dr Ghosh, and that is education, which is somewhat of a risk management strategy as there's always something useful to learn. He says he started investing late as he did not get sound advice when he was a student or young adult. That's why he advocates good financial literacy, which he thinks is "paramount to achieving targets in life". And that will also help to start your financial preparation early, he adds. "There are two things which they say are constant - death and taxes - and retirement is another one, something you definitely have to prepare for." As he declares: "Earlier is always better so the best time to invest was yesterday." A My father is an engineer and mother is a commerce graduate, so life was comfortable but we were not affluent. My father used to be away quite a lot because of his work, so I got into a habit of taking more responsibility. I've a younger brother who is a doctor now. Growing up, I learnt education was very important, and having a very disciplined type of life - to be prepared for what you want to do and take risks as well - because I had to go about doing a lot of things by myself as my parents were very busy. It was very competitive in India. In a strange way, I got quite accustomed to taking risks. In a population of 1.2 billion, you have to work hard and focus on the future. You can't rest on what you've done before. Luckily, I got scholarships for my degrees both in India and the United States, so I didn't have to pay for that asset (education), and it made me appreciate its value more. That's one of the reasons why I wanted to be an educator in the first place. A I got interested mostly through research and the need to plan for retirement. I started in my early 30s. Before that I was investing in my education. If you talk to a lot of my colleagues doing research, they are probably so engrossed in doing their research, they don't have time to manage their own money. A In a single word, it's delegation. I'm also more of a contrarian, so I look for things that are value-oriented, or what I think is underpriced, principles espoused by the likes of Warren Buffett and Benjamin Graham. Rather than looking at individual stocks, I look at mutual funds. The basic reason is that I do not have the time to manage my own money, so I would not be able to get all the information that I need in order to make a decision about a stock at any point of time. First, I do more asset allocation or select broad asset classes - like bonds, stocks, mid-caps - then invest passively in them through exchange-traded funds (ETFs) or mutual funds with low expense ratio. Second, I invest in mutual funds - or unit trusts - with well-reputed management teams with funds that are better run, which means better governance. Finally, I do not try to time the market and invest regularly and hold for the longer run. I know how much capital to allocate in each fund and how much of these asset classes to hold. As my life cycle changes, I've more liabilities that I've to take care of, like education for my daughter, and I've to prepare for them in the particular currency I'm looking at. I try to make sure I'm invested so I can meet those liabilities in future. A In equities, I hold mid-caps right now which are held in a closed-end mutual fund for almost six years now, and that gave nearly 18 per cent in annualised returns over the last six years. 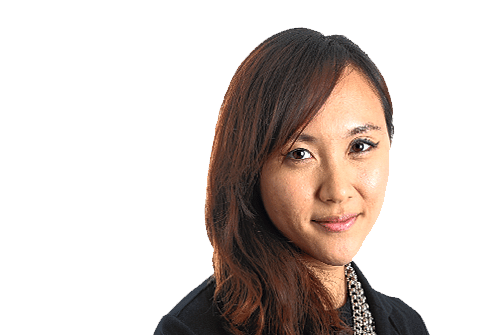 I've been holding onto a bond portfolio for the last two years, which has been giving about a 10 per cent annualised return. I also have a balanced fund - it holds some stocks and cash - that gave me about a 15 per cent annualised return over a period of seven years. The cash amount shifts based on market conditions, and the equities are liquidated into cash when the markets are more volatile. My local portfolio is worth at least $300,000. In the past I invested in gold ETFs, a little after the global financial crisis. People were nervous about the US dollar futures, so a lot of them were investing in gold so the price went up. I only made a small gain as I got in a little later than I should have, and that was how I got into value investing. I realised like most people I'm also not very good at timing the market, so the best way was to put in a regular amount of money at certain points in time, and invest to grow wealth. A Your main goal in life cannot just be money. It can go away as fast as you can get it. The thing that doesn't go away is the level of satisfaction that you get from the process of giving back. A lot of things that we do as educators are somewhat like that, we try to give back. We are creating knowledge and giving it away. A When my daughter wanted to learn music when she was seven, we bought a piano which was quite expensive then, at least $10,000. We made a pact that she couldn't stop learning the piano after two months, and she didn't. Now she's taking exams. Q What has been one of your biggest regrets when it comes to investing? A Starting quite late. I had the knowledge, but as you can see, you're not accustomed to taking risks in the beginning. Starting early means growing the habit gradually and then you're more comfortable with it. A My current portfolio reflects my future beliefs, my balanced and bond funds seem to be the ones that will do better. I'm also a big fan of disruptive technologies, so maybe I will be looking at start-ups. My investments will probably be catered towards trying to shift out the short-term bets to longer ones. Usually the target for returns is inflation plus another figure. Looking at long-term inflation of about 3 per cent, my target in the Singapore context - without exchange rate risk - is about 5 per cent annualised. A My portfolios are going to change into things like annuities, for example. Annuities are another way to make sure there's an income stream coming in. That will cover the level of risk from market inflation and general volatility. A A three-bedroom condo in south central Singapore which I rent. A A BMW 320i. That was a contrarian move, I bought it when no one was buying, about 18 months ago. It was not bought new but from BMW itself under Performance Premium Selection, at more than $100,000. It was a good option at that time, and I haven't found a deal like it after that.